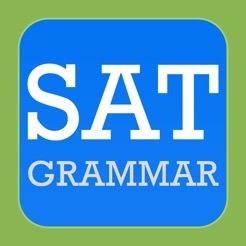 Command of grammar is essential for success on the SAT. 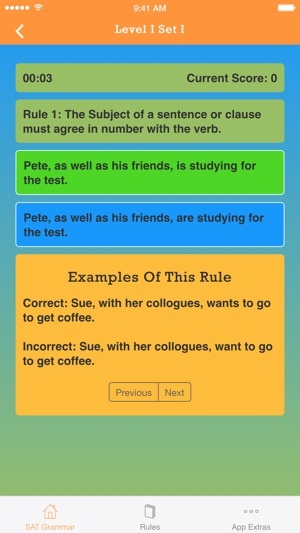 This app is designed to help students learn the 80 essential grammar rules that are commonly utilized on the SAT and then quiz the student's knowledge of the rules. 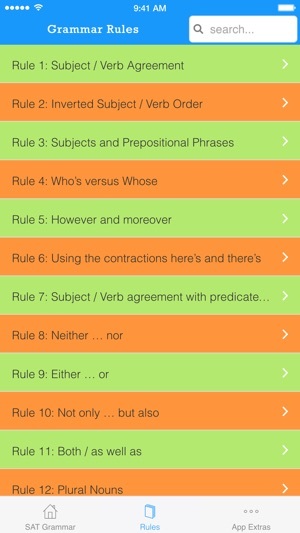 Rules: A list of 80 grammar rules with several correct and incorrect examples of how the rule is applied in the structure of a sentence. Level I: The grammar rule is listed at the top of the screen for easy reference. 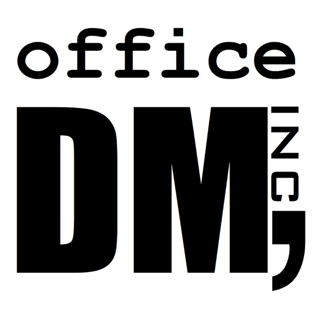 Below the rule, two simple sentences are displayed. The rule is applied in each sentence. Choose the sentence which utilizes the rule correctly. 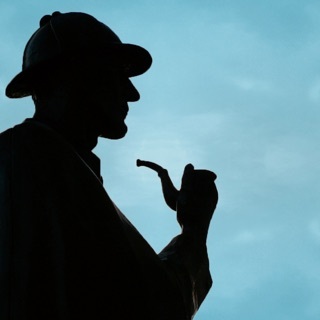 Level II: These questions have complex sentences similar to the sentences on the SAT. 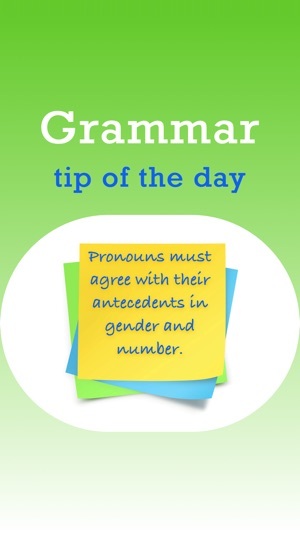 They follow the format of the exam in which students replace a portion of the sentence with the best response. 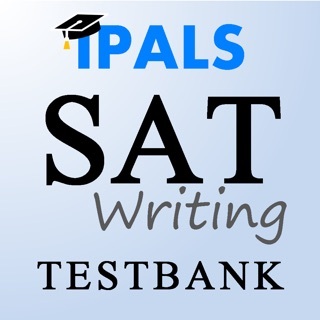 Level III: These questions follow the format of the SAT in which students are asked to choose the underlined portion of sentence which uses incorrect grammar. Notepad: A notepad is built into the quiz which allows students to keep track of the rules or questions which they find difficult for reference at a later date. --Easy way to access Game Center under "App Extras"
I love this app! 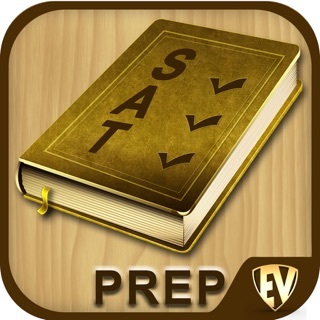 This app allows you to study for the SAT's, this is very helpful because one would need good scores on this test to apply for a decent college... 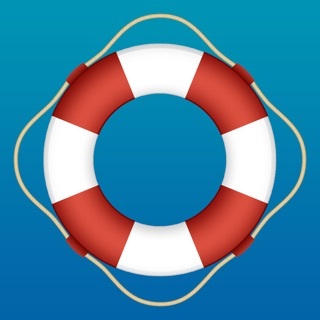 This app is where to go if you don't want to make a very long study guide and spend your hours writing out flash cards and studying from the books. Problem solved! One can just go to this app and start studying. Since it is available on your phone, it is even more accessible and easier to study no matter where you go. 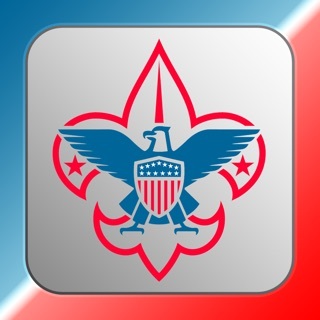 I would definitely recommend this app to everyone. As a college student now, I look back at my high school years and wish I had an app like this to improve my scores. 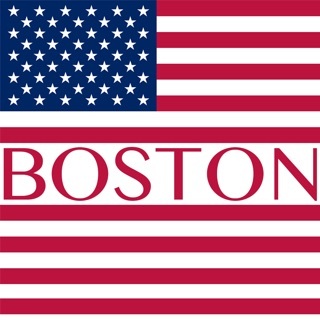 Even though I am going to a great school now, improving my SAT scores would have settled my mind a little more. It is just like other SAT books but cheaper and you can practice it anywhere, even while you are standing in line! I would recommend this to anyone who is serious about their college application process and really wants to improve their scores! 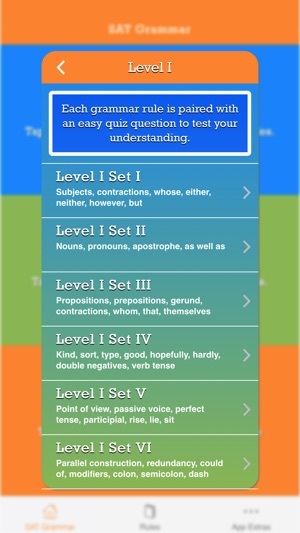 I found this app very useful for helping me understand the grammar rules required for the writing section of the SAT. 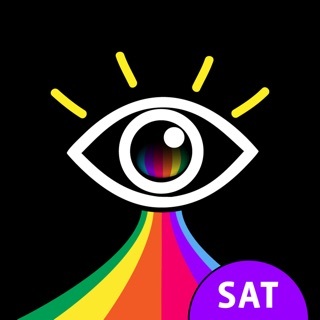 After using this app, my SAT score increased.